The chanting of “What do we want? JUSTICE! When do we want it? NOW!” and “Hands Up! 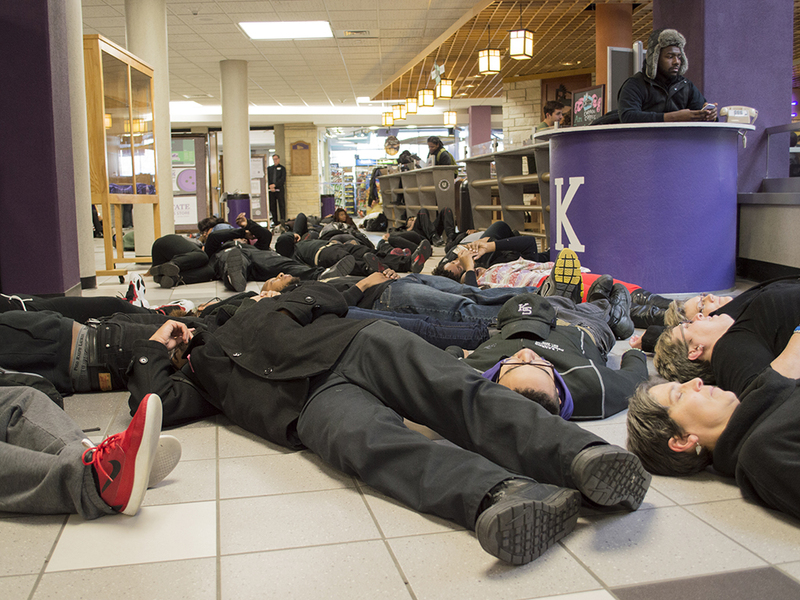 Don’t Shoot!” was heard throughout the K-State Student Union to protest against police brutality on Wednesday. Khenady Gaines, freshman in finance, said she hopes to see change. Members of the Black Student Union and their supporters wore all black and laid on the floor of the Union for four and a half minutes to symbolize the four and a half hours that Mike Brown’s dead body laid on a Ferguson, Missouri street. Though many are familiar with the Mike Brown case, the protest was not just for Mike Brown. Bryon Williams, assistant director for admissions and BSU adviser, said he wants students and community members to know that when the Black Student Union is protesting it is not because of an isolated incident. Justice Davis, junior in marketing and BSU president, and Williams read a list of names of African-Americans who died in police related incidents. Williams said it doesn’t matter if you’re a black male, a black woman, you could even be a 7-year-old child, like Aiyana Jones. Jones was killed in a police raid while she was sleeping on her couch. 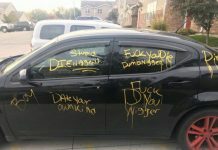 Although Davis and Williams read the names of only African-Americans who lost their lives to police brutality, they said that the incidents mentioned are not just a black issue. Davis said she hopes that people who don’t see the importance or relevance of police brutality toward African-Americans change their hearts and their perspectives about what’s going on. Perry said the demonstration was about awareness and hopes it serves as a catalyst for change.